Paper Mache skull mask with painted eye patch. 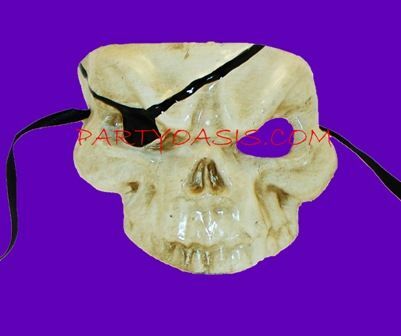 Great for Halloween, Masquerade, or a Pirate themed Event. Eay to wear with ribbon ties.